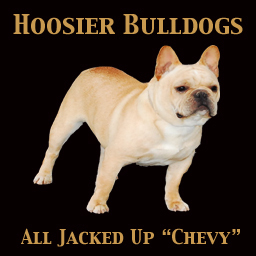 Hoosier's All Jacked Up - "Chevy"
"Chevy" is our idea of what a french bulldog should be in terms of conformation and temperment. 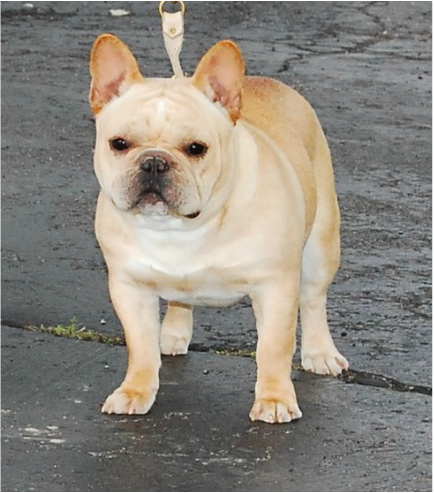 Chevy is grandsired by the #3 French Bulldog of 2003 The famous Ch. Daystar's Airies of Avlis Bloa. 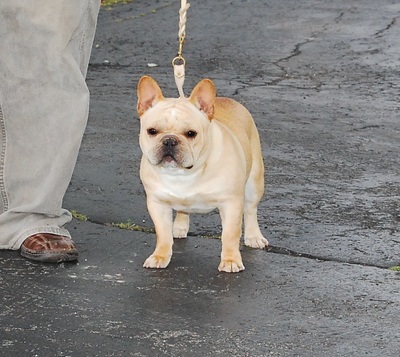 Chevy has a massive head, a wide deep chest and is very square. He is 12 inches at the highest point of the shoulders and is 12 inches from the shoulders to the onset of the tail. He defines the phrase "HUNK." 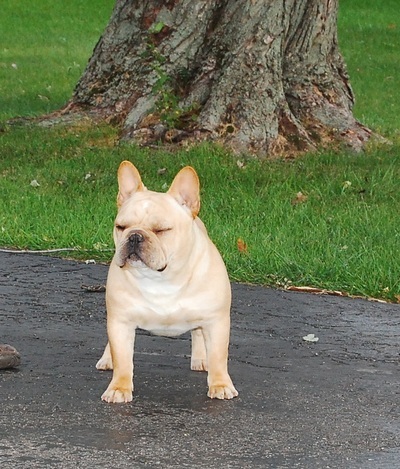 Chevy is the most delightful french bulldog you could ever dream of. He is very very laid back and you just can't refrain from hugging him! We are so proud to have him as part of our family and we have high hopes for him. We are excited to see the puppies he will produce in the future.